On a mission to create clothing that was both comfortable, durable and flame-resistant, Massif was created out of necessity. Massif grew by word of mouth from the search-and-rescue (SAR) and firefighting communities, to now serving every branch of the U.S. Armed Forces. The 100% made in the USA company is proud to be protecting millions of people who work in hazardous jobs across the US and worldwide. 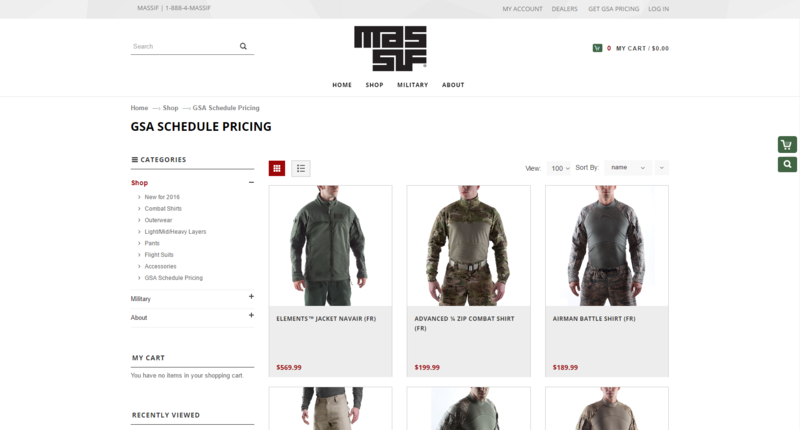 To take their brand and business to the next level, Massif launched their new website focused on customer experience. 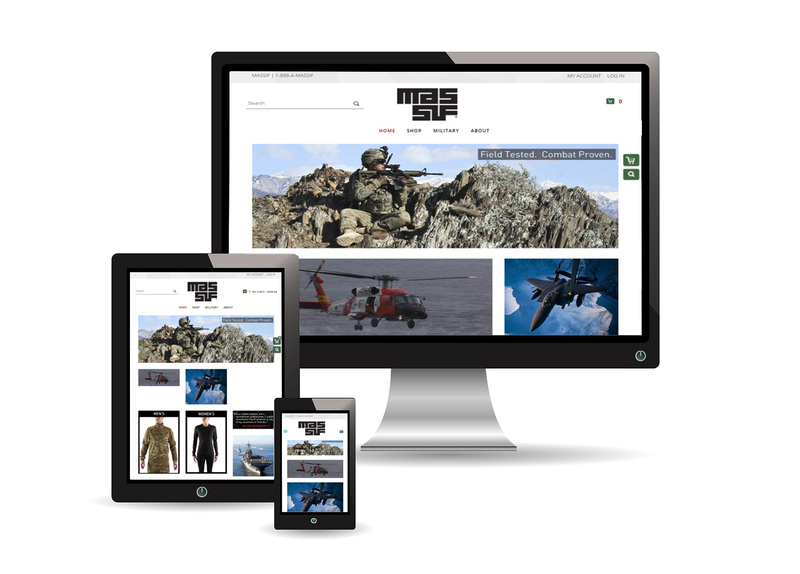 Massif was operating on an older version of Magento with a non-responsive user interface. 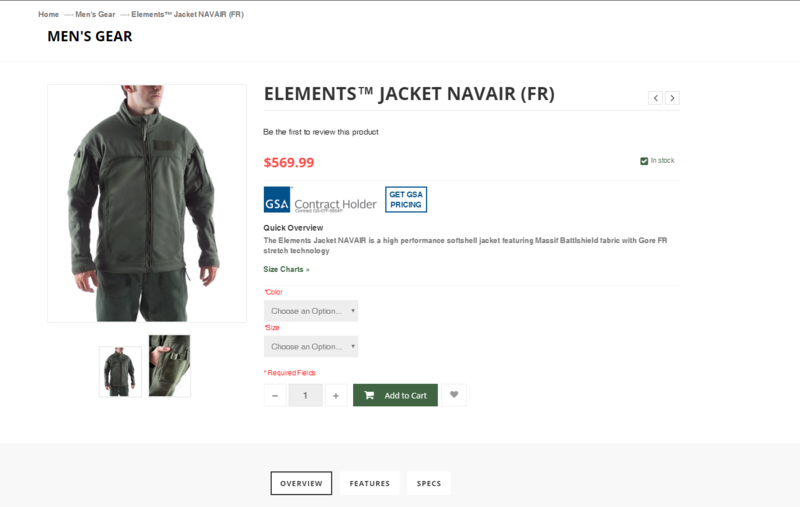 They were experiencing UX/UI issues that made it difficult for certain service members to see individualized GSA (Government Service Agreement) pricing. 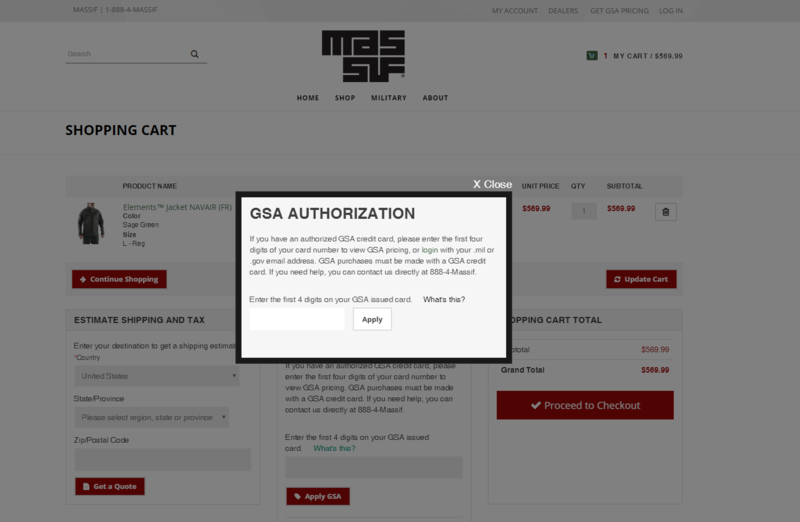 Massif also felt the website design did not well represent their brand or provide a pleasing aesthetic for shopping apparel. 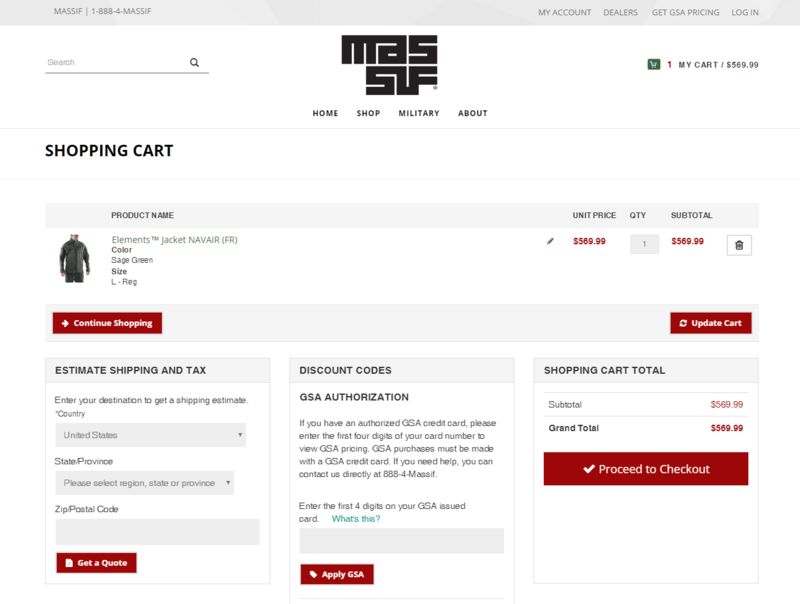 In addition, Massif struggled with extensive admin work needed for updating product pricing. InteractOne was tasked with upgrading the Massif site to a responsive version of Magento. The project required a Magento version upgrade, custom Magento development for addressing GSA pricing issues and design style development all while minding a set budget. InteractOne was able to provide Massif with a branded and modern design on the latest version of Magento 1.9. We created a mobile-friendly website that included updated color swatches through a redeveloped extension. GSA pricing was corrected by employing a feature that identifies the last 4-digits of customer’s GSA ID. We were also able to drastically reduce administrative logic to update product catalogs. Finally, improvements were made to the overall customer checkout experience and the overall satisfaction of our client was unparalleled. InteractOne was able to successfully integrate the client’s needs with Magento eCommerce functionality to reflect the necessary updates. Upgrading from Magento 1.4 to 1.9 proved to be the perfect route to increasing mobile conversion rates, customer shopping experiences and the user interface. 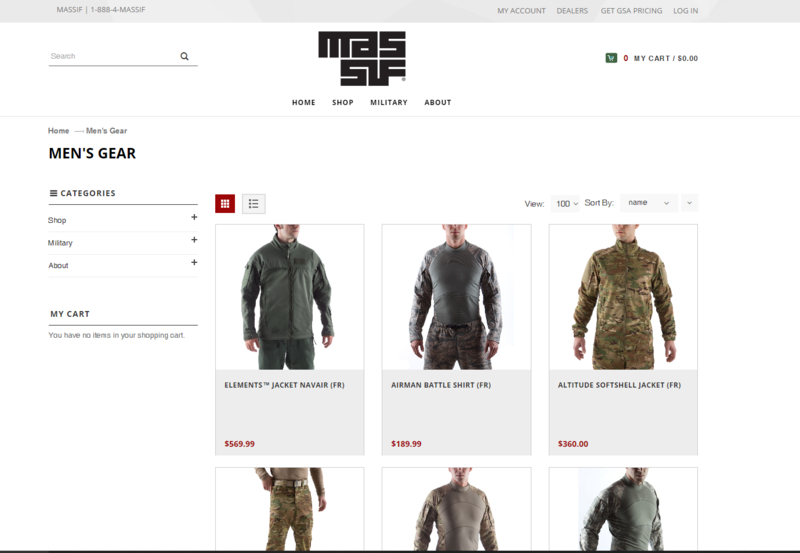 With an optimized and up-to-date Magento shopping experience, Massif is primed for rapid growth. If you are interested in learning about what InteractOne can do for your Magento website, or if you would like a quote for a new responsive Magento site design, or if you are interested in our full range of available marketing services, please contact us or call today to speak with a Magento guru at 513-469-3345.